In ancient period the area in which the Jind district lies formed an integral part of Kurukshetra in the traditional geographical account. It derived its name after Jainti, an ancient tirtha mentioned in the Mahabharata and the Padma Purana, founded in honor of Jainti, the goddess of victory. According to a local tradition, the goddess was invoked by the Pandavas for victory in the battle against the Kauravas. The antiquity of the district is established on the basis of the discovery of the Pre-Harappan, the Late-Harappan and the Painted Grey Ware pottery at various places from the district and the mention of its tirthas in the Puranas corroborates it. The district was first occupied by a pre-Harappan Chalcolitic agricultural community whose pottery has been recovered from a number of places such as Anta, Morkhi, Beri Khera (tahsil Safidon); Balu, Hatho, Rani Ran (Bata), Pahlwan, Dhakal (tahsil Narwana); Birbaraban, Barsana, Pauli, Karsola (tahsil Jind), etc. It is not yet possible to state from where these people had moved here or to throw much light on their socio-economic life. However, on the basis of the evidence of the nearby pre-Harappan sites like Mitathal (Bhiwani district), Siswal, Banwali and Rakhigarhi (Hisar district), it may be stated that these people possibly lived in mud brick and thatched roof houses, used wheel-made pottery, terracotta and copper-made objects. Ritauli, Birbaraban, Pauli (Jind tahsil), and Balu (Narwana tahsil) have yielded pottery of the mature Harappan culture. Further the existence of the classical Harappan site of Rakhigarhi(Hisar District) about 15 kms from Jind suggests the existence of such sites also in Jind district, but in the absence of excavations, it is not possible to go beyond this surmise. After the Harappans, the region was inhabited by the late-Harappans (1700 B.C.-1300 B.C.) whose pottery has been recovered from many places in the district. No Late-Harappans site has so far been excavated in the district , but on the basis of the evidence from the adjoining areas like Mitahal ( Bhiwani district ) , Bhagwanpur and Mirzpur (near Raja Karna Ka Kila, Kurukshetra District), etc. it appears that the pepole representing this culture lived in mud bricks houses , used oval ovens and thick sturdy red-ware, well levigated and burnt.The discovery of painted and incised terracotta figurines, possibly indicates their belief in animal worship. About 1000 B.C., with the advent of the painted Grey Ware people, generally associated with the Aryans, a new era dawned upon this district. The people representing this new culture settled on the banks of the holy rivers Sarasvati and Drishadvati, and the region came to be known as the holy land of Kurukshetra. Thus the district of Jind formed the southern boundary of Kurukshetra is indicated by a later cultural development in the form of Yakshas or Dvarapalas at Ram Rai (Jind tahsil) and Barta (Narwana tahsil). The sacred Drishadavati ,in fact, passed through some places like Hat, Assan, Brah, Jind, Dhundwa and Ramrai. The mention of various tirthas of the district in the Mahabharta and the Puranas points to the continuance of activities of the Aryans, The region came under the sway of the Vedic Bharatas, Purus and the Kurus and was included in the kingdom of the Pandavas under whom it touched the hight of glory. King Parikshit, grandson of the Pandavas had his second capital at Asandivat (Asandh in Karnal district), very close to the Jind district. Parikshit, however, lost his life in the struggle against the Nagas of Taxila. This defeat, later avenged by his son Janamejaya, is symbolised in the epic tradition of the snake sacrifice which possibly took place at Sarpi Darvi of Safidon. It may safely be inferred that this area was also included in the kingdom of the Kurus, which was one of the sixteen Mahajanapadas in the 6th century B.C. mentioned in the Buddhist literature. It was a part of the Nanda Empire, and its people are included by Panini among the warrior communities (Ayudha- Jivins) of Punjab. Later on, these people may have possibly assisted Chandragupta in his war of liberation against the foreign Greeks. Archaeological remains of pre-Mauryan and Mauryan times have been recovered from a number of places in the district. Furthermore, the discovery of an Ashokan Edict at Topra, pillars at Hisar and Fatehabad and stupas at Chaneti and Thanesar in the adjoining districts suggests inclusion of the Jind area in the Mauryan empire. After the fall of the Mauryas, the region witnessed the rise of several important republican people. Among these the most important were of course the Yaudheyas who spread over an extensive area from Ludhiana to Bharatpur in Rajasthan. The Yaudheyas later submitted to the superior power of the Kushanas whose coins have been found throughout Kashmir, Punjab, Haryana, Mathura and other regions. An Athsho (an Iranian fire deity) type coin of Kanishka was recovered from village Anta (Safidon tahsil). The Sonipat hoard of Kushana coins, their coin moulds from Narangabad (Bhiwani district) and crude imitation of coin types of Vasudeva I from other places including those form this district, and also the discovery of typical pottery of Kushana times from the district suggest that the Kushanas ruled here. With the decline of the Kushanas power after Havishaka (138 A.D.) the Yaudheyas again asserted their independence some time during the third century A.D. Their coins belonging to this period have been found throughout Haryana, e.g., Sonipat, Rohtak, Raia, Anawali, Karontha, Narangabad, Hansi, Sirsa, Hisar, Assan, Jaijaiwanti and Anta. In the fourth century A.D., the region alongwith the Yaudheyas submitted to Samudra-Gupta and after the fall of the imperial Guptas, to the Hunas. In the seventh century A.D. it formed part of the region called Srikantha and was under the Pushpabhutis of Thanesar. Under the Pushpahautis, the region attained the pinnacle of glory but after the death of Harsha what became of the region is not precisely known. Towards the end of seventh century A.D., the army of Yasovarman, the king of Kanauj passed through this region. In the ninth and tenth centuries, the district formed part of the Partihara empire whose inscriptions have been found at Sirsa, Pehowa and Delhi. Later on, the Tomaras, the feudatories of the Pratiharas came to power here. As indicated in the Palam Boali and Delhi Museum inscriptions, the Tomaras ruled the Haryana country from their capital Dhillika, modern Delhi till the middle of Twelth century when they were over thrown by the Chahamana Vigraharaja IV (Visaladeva). Hansi, Sirsa, Pinjore, and Bhatinda were the chief centres of political activity during this period. The Chahamana supremacy in this region, however, could not last long. The defeat of the forces of Prithyiraja by Shihab-ud-din (Muizz-ud-din) Gauri in the decisive battle of Tarai (1192 A.D.) and the fight of Prithviraj towards Sirsa, his capture and subsequent death , gave a definite turn to the political fortune of the region. With almost the whole of the north west of India, It passed on to the Muslim rule for centuries to come. During MEDIEVAL PERIOD, After the demise of Shihab-ud-din Gauri, Qutb-ud-din Aibak, his favorite general established Turkish rule in northern India in 1206. 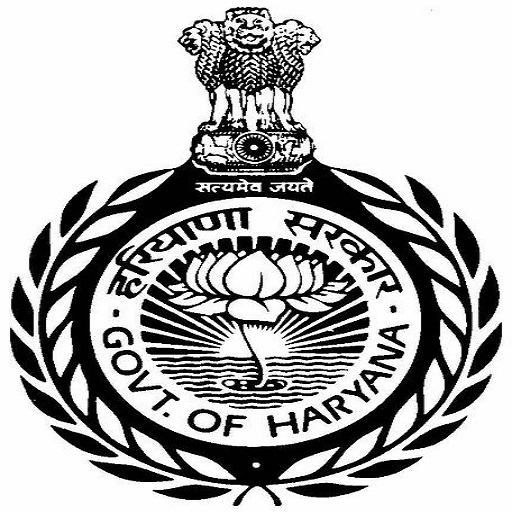 The Haryana territory, including the present Jind district, formed a part of the Sultanate of Aibak who placed the district under the Iqta of Hansi. Officers mostly belonging to the army, were put incharge of the administration to preserve law and order and collect taxes, in the towns of Jind, Dhatrat and Safidon. The villages were left to themselves; none interfered in their affairs if they paid their revenue in time.This position continued throughout the reign of Aibak and his successors, up to A.D. 1283. But the Khaljis under Ala-ud-din, the greatest of the kings of this dynasty made definite changes. He took the region in his tight grip by placing it under direct control of the central government. The change was for the worse. Ala-ud-din squeezed the people of their incomes in such a ruthless manner that they literally became paupers. Unfortunately the two Tughluqs Ghiyas-ud-din (A.D.1320-1325) and Muhammad Tughluq (A.D. 1325-1351) who came after him were in no way better than him. However the third Tughluq Firoz (A.D. 1351-1388) behaved differently; he undid what his predecessors had done. He reduced the land revenue, exempted the peasants of several taxes and provided them with many facilities. In 1355-56 he brought water to the thirsty soil of the district. He took out a canal from the Yamuna which entered the district at Anta, and thence flowing through the present Jind tahsil from east to west in the line of the old Chutang nadi past the town of Safidon and Jind, reached up to Hisar. Firoz also made some administrative changes here. He created a separate Iqta of Safidon; and placed the entire area of the present district under its Mukta, Yalkhan, a trusted noble. He also changed the name of Safidon to Tughluqpur. After Firoz’s death (A.D. 1388), the district felt the full force of those deadly discords which rent the Delhi Sultanate. Along with the other territories in Haryana, Jind slipped out of the hands of the Tughluqs. The people became quite assertive and accepted only the local authority. There is one important event of this time which needs to be mentioned. Timur launched a fierce attack on northern India in A.D. 1398. He entered Haryana from Punjab side and overran the districts of Sirsa and Hisar. Fortunately, the district of Jind did not suffer much at his hands; during his march from Tohana to Kaithal and then from Kaithal to Panipat he touched only the outskirts of the district except for a short distance of a few kilometers from Moana (a small village near the Karnal-Jind border) to Safidon and a little beyond. The inhabitants of these places ran away before his advent and the invader could not lay his hands on any thing except for burning the fort of Safidon. After Timur’s return from India, the same old situation again arose. There was no king and no government for the people of Jind for quite some time. The Sayyids could not effect any improvement in the situation, but their successors, the Lodis brought the distrcit under their control in A.D. 1451 and retained it until 1526 when Babur, the founder of the Mughal empire in India snatched it from the weak hands of the last of their rulers, Ibrahim Lodi. Babur gave the entire Hisar division including the Jind district to Humayun as a reward for his meritorious services during the last campaign. Humayun retained it until 1530 when Babur died and he himself became the king of Hindustan. Subsequently, the Faujdar of Hisar controlled the district until 1540, when Humayun was driven out of his empire by Sher Shah Suri. Sher Shah was an administrative genius. He divided his whole kingdom into sixty six sarkars. Jind came, as in the earlier time, under the Sarkar of Hisar. Its administration was carried out by two officials, namely, Shiqdar-i-Shiqdaran and Munsif-Munsifan. Unfortunately there is no direct evidence to give the exact number of parganas into which the district was then divided, but it is surmised that they were three. The parganas were controlled by Shiqdars, Munsifs and junior officials, like Qanungos, Khazanchis, etc. The smallest unit of administration was the village which was administered by the Muqaddams, and Panchayats; Patwaris and Chaukidars helped in discharging their work. Sher Shah ruled for only five years (1540-45). There was peace, prosperity and tranquility every where during his short rule, but not after him. The Mughal Emperor Humayun took advantage of the new situation and wrested his lost kingdom from them. Jind district again came under the Mughal sway (1555). Humayun’s death within a year threw confusion all around. But his son, Akbar, not yet 14, effected improvement in the situation after his victory over Hemu in the second battle of Panipat, 1556. The Ain-i-Akbari does not give the number of villages in the different mahals or in the aggregate. It, however, makes reference to a brick fort at Dhatrat. Jind had, interestingly, no fort at that time. The administrative machinery that controlled the villages, mahals and sarkars was of the same type as was found in this region in the time of Sher Shah. The above administrative set-up remained intact during the reign of Akbar’s successors-Jahangir (1605-1627), Shah Jahan (1627-1658), and Aurangzeb (1658-1707). The situation however, underwent drastic changes after the death of Aurangzeb in 1707 which ushered in an era of chaos and confusion. The imperial authority ceased to carry any awe with it and people stopped caring for it. In Jind, the sturdy Jats, Rajputs, Ranghars and Ahirs became disorderly and would not pay land revenue to their old masters or accept their authority. Their villages surrounded by mud walls were like fortresses which could only be reduced by artillery and a large force which the local haqims could not always muster. One Gajpat Singh, a great grandson of Phul, the founder of the Phulkian Misl, one of the 12 confederacies of the Sikhs in the 18th century took advantage of the above situation. He took part in the attack of the Sikhs on the province of Sirhind in 1763 in which Zain Khan, The Afghan governor of the province was killed. Gajpat Singh occupied a large tract of the country including Jind and Safidon as his share of the spoil. He made Jind his headquarters and built a large brick fort there.In 1772, Emperor Shah Alam conferred upon Gajpat Singh the title of Raja. From this time onward, the Sikh chief ruled as an independent prince and coined money in his own name The Delhi authority failed several times to bring him under its control. In 1774 a serious quarrel arose between Gajpat Singh and Himir Singh , the then ruler of Nabha . Gajpat singh used force and took possession of Amloh Bhadson and Sangrur ,by the intervention of the ruler of Patiala and other friends . The first two places were restored to Nabha but Sangrur then a village was retained. Raja Gajpat Singh’s Daughter Bibi Kaur married Sardar Mahan Singh Sukrachakla and became the mother of famous Maharaja Ranjit Singh. This must have enhanced Gajpat Singh’s prestige. Moreover his strategic position in the North-Western corner of the Rohtak region made it easy for him to have his hold over some parts of Haryana –Gohana, Hisar etc. which he and his successors held until the beginning of the last century. Raja Gajpat Singh died in 1786 and was succeeded by his son Bhag Singh at a very tough time. But he overcame this serious menace with the help of his brother chief of the Cis-Satluj tract and the Marathas. Bhag Singh was a shrewd man. He was the first of all the Cis-Satluj princes to seek an alliance with the British . In 1803 he assisted Lord Lake in his way against the Marathas and received confirmation of the Gohana estste. He also prevented his nephew Maharaja Ranjit Singh from espousing the cause of Jaswant Rao Holkar,.The British recognised in him a great friend and ally and showed him many marks of favour and regard. Raja Bhag Singh suffered a severe paralytic attack in March 1813. Unfit to run the administration of his state, the ailing chief wished to appoint Prince Pratap Singh the ablest and wisest of all his sons as his regent to do his work . But the British government to whom the anti-British bearing of the prince was known stood in his way and got Rani Sobrahi appointed in place of the price in 1814. This was unbearable for Paratap Singh and he raised the standard of revolt on June 23, 1814. He being a popular figure the state forces also revolted and joined him forth with. With their help the prince lost no time in occupying the Jind fort and established his government after putting the Rani the puppet of the British government to the sword. This alarmed the British authorities very much and the British resident at Delhi sent his force against Pratap Singh , the prince thinking that he would not be able to give a fight to this force from the Jind fort, retired to a relatively stronger position at Balanwati , a fort in the wild country about Bhatinda. The British attacked him with full force and after a fierce fighting for some time Pratap Singh had to leave this fort and take his position in the country on the other bank of the Satluj after crossing it at Makhowal . Here he was joined by Phaula Singh Akali. Pratap singh remained with Phaula Singh at Nanpur Mokhowal for two months and persuaded the latter to assist him actively at Balanwali. When the British came to know that Phula Singh had crossed the Satluj, they directed Nabha and Malerkotla rulers to attack him. Balanwali was then invaded by Patiala troops and was almost prepared to surrender when its defenders heard the approach of Phula Singh. They at once broke the negotiations while Pratap Singh went in advance and with a few men threw himself into the fort. The Patiala troops marched to intercept Phula Singh who was unable to relieve the fort and retired towards the Satluj. The British directed Nabha and Kaithal chiefs to help Patiala troops. Balanwali Surrendered and Pratap Singh was taken a prisoner and was placed under merely a nominal restraint. Pratap Singh later fled to Lohore. Maharaja Ranjit Singh refused to give a shelter to Pratap Singh and gave him up to the British who placed him in confinement at Delhi where he died in 1816. The administration of Jind was entrusted to prince Fateh Singh. Though Raja Bhag Singh did not like the arrangement, yet he did not oppose it. In fact, he had neither the will nor the means to do it. Bhag Singh died in 1819, and Fateh Singh succeeded him. He ruled for a short time only and died three years later (1822). Now Sangat Singh, (11 years old) succeeded him. He hated the authority of the British which the latter noted with grave concern. But, before they could think of dealing with him he died a sudden death on November 2, 1834. Annoyed as the British Government was with the deceased Raja, they forfeited a number of his estates in Ludhiana, Mudki, etc. (about 150 villages) and in the trans-Satluj region (Halwara, Talwandi, etc.). The latter estates were given to Ranjit singh. Since the deceased Raja left no male heir behind him, Sarup Singh, his cousin succeeded him. He was very friendly and loyal to British, but not to his people, especially of Balanwali. They did not relish the change and organised themselves to oppose him. Gulab Singh Gill, formerly a Risaldar in Jind army and Dal Singh, brother-in-law of Prince Pratap Singh, were their leaders. The rebels got a good deal of inspiration from Mai Sul Rai, the widow of Prince Pratap Singh. A British force was dispatched against the rebels in early 1835. By March the ranks of the rebels had swelled a good deal. The people of the neighboring villages like Bhai Chakian, etc. and the Akalis of Gurusar, a place of pilgrimage had joined hands with them. The villagers fought well, but being inferior to their enemy in military knowledge, strategy and tactics, arms and ammunitions, they lost the day. Their casualties in the action were quite heavy, Gulab Singh being one of them. Dal Singh and Mai Rai were apprehended and put behind the bars, along with their supporters. And thus ended a popular revolt after much bloodshed and cruelty on the part of the British government. Raja Sarup Singh died in 1864. He was succeeded by his son Raghbir Singh. Immediately after his installation, Raghbir Singh was faced with a serious revolt of the peasantry in the newly acquired territory of Dadri. In May 1874, the poor exploited peasants of about 50 villages in this tract led by their local Chaudharis and Hakim and Kasim Ali rose en- masse captured police station arrested Thanedar and proclaimed the end of the Raja’s rule. This was a big challenge to Raja who immediately marched in person at the head of a big army. His first attack was on Charkhi (14 May), where 1500-2000 persons of the rebellious villages had collected and entrenched themselves. They resisted the Raja to the last but ultimately they were defeated and their village was burnt. Next, Mankawas was attacked, captured and destroyed. However the two defeats did not dishearten the brave villagers who gave a tough battle to the Raja at Jhauju (16 May). But here also they shared the same fate and defeat quelled the rebellion once for all. The Raja punished the leaders but permitted the Zamindar to return and rebuild their ruined villages. The Raja also took side of the British Government on the occasion of the Kuka outbreak in 1872. Again when the second Afghan war broke out six years later he gave help to the British with man, money, and material. The British government conferred the title of Raja-i-Rajgan on Raghbir Singh. Raghbir Singh died in 1887. His only son Balbir singh had died during his own lifetime and therefore his grandson, Ranbir Singh, Then only 8 years of age, succeeded him. During the period of his minority, a council of regency administered the state, during this regime the state troops took part in the Tirah campaign of 1897. He was interested in full ruling powers in November 1899. During the first world war, Jind maintained its loyal tradition by placing all the resources of his state at the disposal of the government .The Jind Imperial Service Regiment was on active service for about three and half years in East Africa; States war gift amounted to over 24 lacs ; while the total loan raised in the state amounted to eleven and half lacs.The British Government thanked the Maharaja very heartily after the war. Under praja mandal movement, the Raja as indicated above was very loyal to the British but indifferent toward the prosperity of his subjects. Instead of looking after their welfare, he effected their economic exploitation. The poor and ignorant masses groaned under the exploitation by the Raja.In the first quarter of the present century when winds of political awakening and enlightenment reached even the remotest corners of the country , the pepole of Jind were also affected . They became conscious of their pitiable conditions and began to ponder over has to how to get over these difficulties . The formation of all India state pepole’s conference in 1927 at the Punjab state Riyasti Paraja Mandal the following years showed them the way . They too , established the Jind state Parja Mandal however in the condition which were then in vogue , No open memberhip drive of the Mandal was possible . Members were recruited secretly . Parja Mandal would appear to have been established at Narwana . and other places in sport of National movement The Sikh peasants joined the Paraja Mandal Movement and they launched the stir against the Raja . The agitators as they were called then led their main attack on the enhanced revenue rates., corruption and high- handedness of the Chief Minister of the State Raja Ranbir Singh took a stiff attitude and the stir does not seem to have achieved any big success but this did not dishearten the people. In the late Thirties the Parja Mandal Movement sepread to almost all parts of the state, the branches of Parja Mandal were opened at Sangrur, Dadri, Jind and at several big villages in the region. The Praja Mandalist waged a long stubborn struggle for the reduction of taxes, abolition of begar and popular representation in the Government. Their efforts bore fruits, through belated and the Raja accepted their demand for an elected assembly and formed a representative government on 18th January, 1947 with five ministers; two Praja Mandalists, two Akalies, and one Muslim. The Raja had power to veto any decision of his cabinet. This arrangement did not satisfy the people especially in the Dadri region, where they rose in revolt in February, 1947. They courted arrests in large number and formed a parallel government of their own. This compelled the Jind authorities to invite the president of the All India State Peoples Conference for negotiations. On his advice the people withdrew the movement. The state authorities promised to look into their grievances and released all the Praja Mandalists who had been arrested. With the formation of the Patiala and East Punjab States Union (PEPSU) in 1948, the state was grouped into eight districts namely, Patiala, Barnala, Bhatinda, Kapurthala, Fatehgarh Sahib, Sangrur, Mahendragarh and Kohistan(Kandaghat). In 1953, the number of districts was reduced to five, by merging Barnala with Sangrur and Kandaghat and Fatehgarh Sahib with Patiala. Thus the Sangrur district comprised five tahsils, namely, Barnala, Malerkotla, Sangrur, Narwana and Jind. During the reorganization of the Punjab in 1966, the Sangrur district was bifurcated and Jind and Narwana tahsils were allocated to Haryana and were constituted into Jind district. The Jind tahsil was bifurcated into two tahsils of Jind and Safidon in 1967. In January 1973, 54 villages of Kaithal tahsil were transferred to Jind district, 43 going to Jind tahsil, 5 to Safidon tahsil and 6 to Narwana tahsil. One village namely, Barsola was transferred to Jind tahsil from Hansi tahsil of Hisar district in 1974.